A major emergency affecting a large number of people may occur anytime and anywhere. 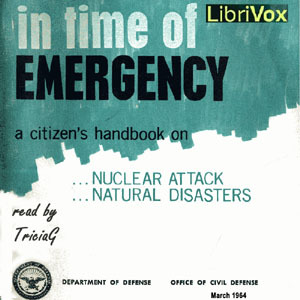 It may be a peacetime disaster such as a flood, tornado, fire, hurricane, blizzard or earthquake. It could be an enemy nuclear attack on the United States. In any type of general disaster, lives can be saved if people are prepared for the emergency, and know what actions to take when it occurs.